I didn't "do" Advent last year. No reading, no reflections. 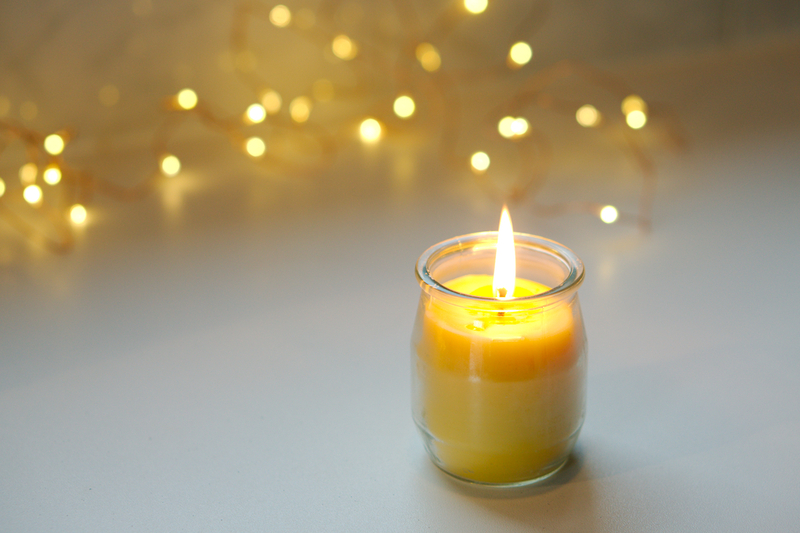 Last fall was a hard season and by the time December rolled around I felt like I had been living the waiting and longing of Advent for months already. I didn't need more time reflecting or concentrating on that spiritual discipline, I was living it. I was in spiritual direction last fall and perhaps it was some combination of the spiritual direction and life circumstances that helped reveal to me, by living it, one of the most transformative ideas of the Christian faith; incarnation - God with us, God taking residence in us. I wrote about it in a post published last December. Everything in me fights this. And so this is faith, for me. God in the small. God in the vulnerable. God in the ache, frustration, and disappointment. 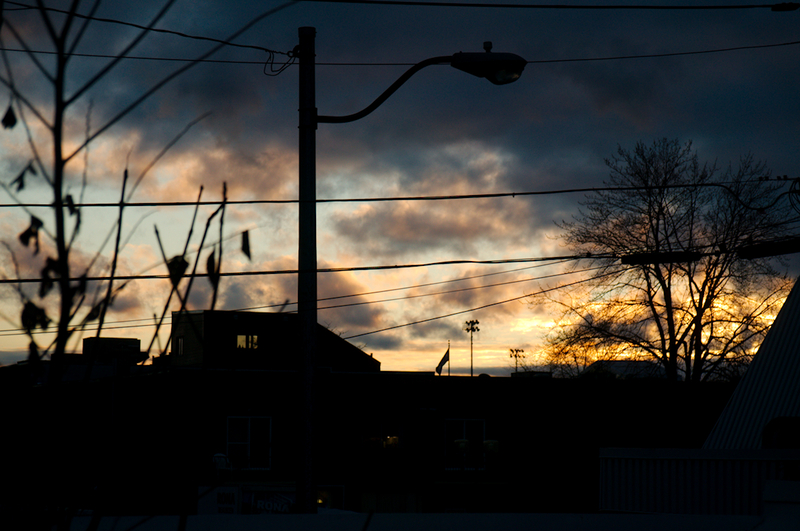 God in the uncertainty and shame of a teenage pregnancy. God in the victim of public execution, hanging on a cross. This is Emmanuel. God with us. Something happened in my heart last year to change the compass needle on where I find God in my life. Not "out there" or "up there". But "in here". In the dirt. In the heartache. In the waiting. 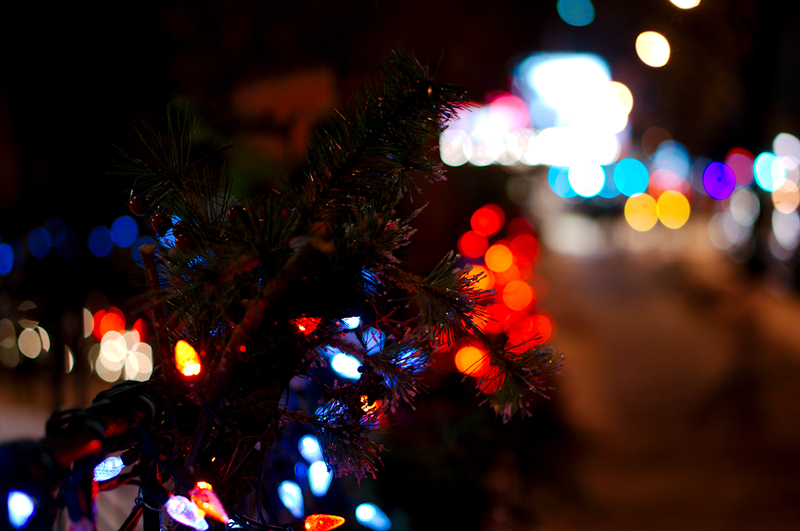 In the night. It took me about forty years to figure this out, which included a good chunk of adulthood trying to manage, control, negotiate, cajole, follow rules, and organize my way out of difficulty and pain. I don't want to find God in the pain. I want to find God outside of pain and struggle because I want to live outside of pain and struggle. It has been both an immense relief to me that God exists right where I live and also a difficult wake-up call that I don't get a "transcendence" ticket out of this mess. I'm thinking with my track record, learning how to practice God with us, God in me, will be another forty years of spiritual journeying. Sounds rather biblical actually. God's already here. We don't have to strive for it, work our way there, say a prayer, "drum it up". So why bother with spiritual practices; reading, prayer, singing, meditation, etc? I don't want to oversimplify spiritual disciplines and practices and I speak for no one else but myself. Engaging in and nurturing spiritual activities in my life is mostly about remembering and tuning in to what is already present that I'm too busy, distracted, or disorientated to notice. For years I've listened to the music of Steve Bell, because in addition to just being a really great musician, Steve's music helps me remember. I've mentioned him quite a few times on the blog. 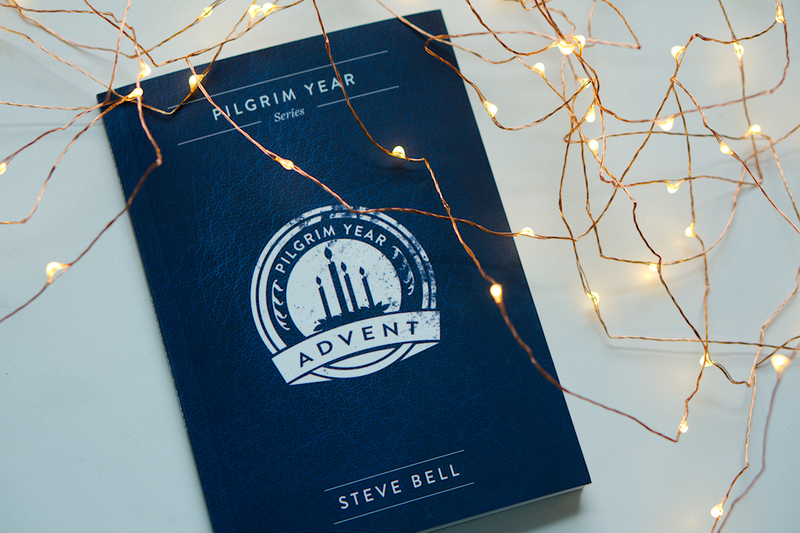 Two years ago I wrote about using Steve's digital devotional called Pilgrim Year during the season of Advent. At that time Pilgrim Year was available only in digital format. 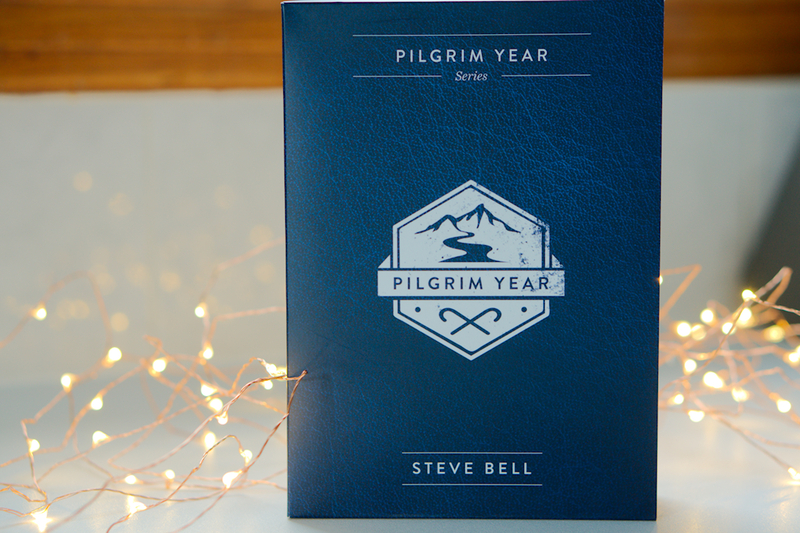 Pilgrim Year has been re-worked and re-released as a printed boxset of seven paperback books, and I jumped at the opportunity to receive a review copy from Steve's publisher. With this boxset in hand I'm hoping to continue the devotionals throughout the whole Christian calendar year, instead of just reading the Advent devotional which happened with my digital copy. 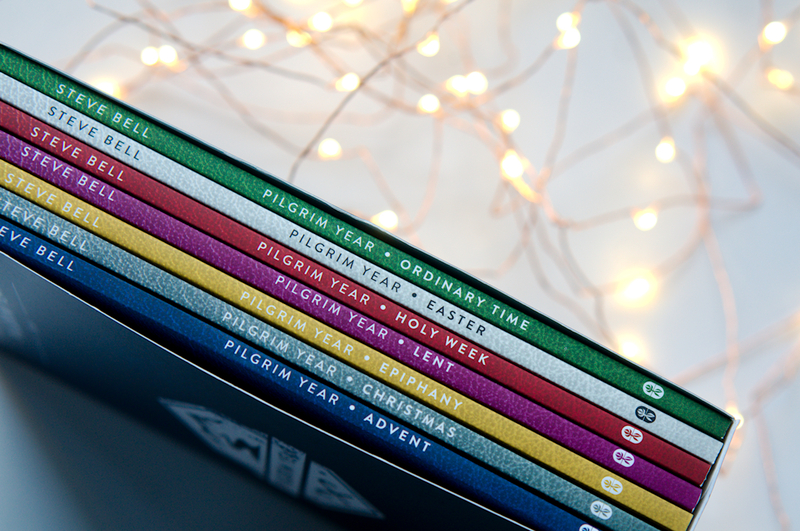 Pilgrim Year is a seven-book series that invites readers into the rich tradition of the Church calendar year in a very accessible and expansive way. Accessible: The books assume no prior knowledge of saints, feast days, and liturgical calendar. And it's written by someone who has come to this knowledge later rather than sooner, in his own life. This is something I identify with. Expansive: The books are more than just text on a page. Companion music (good music I should add, Steve is an award-winning musician) and short video segments invite you to engage with all your senses. 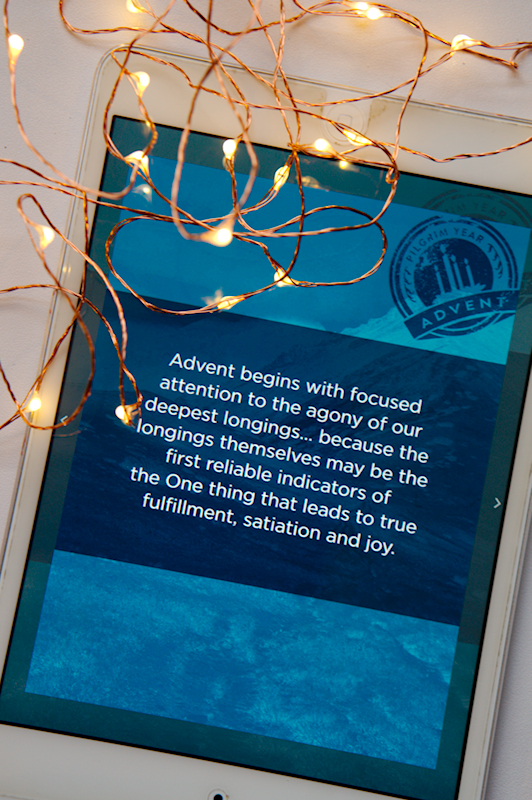 You can read a short description of each book from Advent through Ordinary Time on Steve Bell's website. What I appreciate most about these books (and the "niche" I think they fill) is the spiritual perspective that Steve Bell brings to the table. The Christian church has a yearly calendar and tradition that is literally thousands of years old. But many of us, even within the church, are largely ignorant of this history. And we want to access this rich and deep tradition without converting to Catholicism, becoming Eastern Orthodox, or joining an Anglican church. I think these materials are accessible to anyone but are especially appreciated by those of us wanting to tap into and have a taste of the rich experience of the Christian liturgical calendar. I like what Steve says in the introduction to each book. This series by no means attempts a comprehensive look at this rich tradition. I come to it late and am a novice myself. All I can do is leave a trail of bread crumbs to the grottos and vistas I have found. Steve leaves an interesting trail to follow, one that engages me with music, poetry, stories and reflections. I'll be walking this path through Advent this year, and I'll be remembering what is already true, what has already come, what is already present. God with us. As part of my review copy I received a Pilgrim Year companion CD, a two-disc set of the Select Seasonal Songs from the Pilgrim Year Book Series. As a bonus to my Patreon community I'm giving away this CD set of songs to a Patron. Patreon perks. Also, this blog post is available as an audio recording for Patrons.